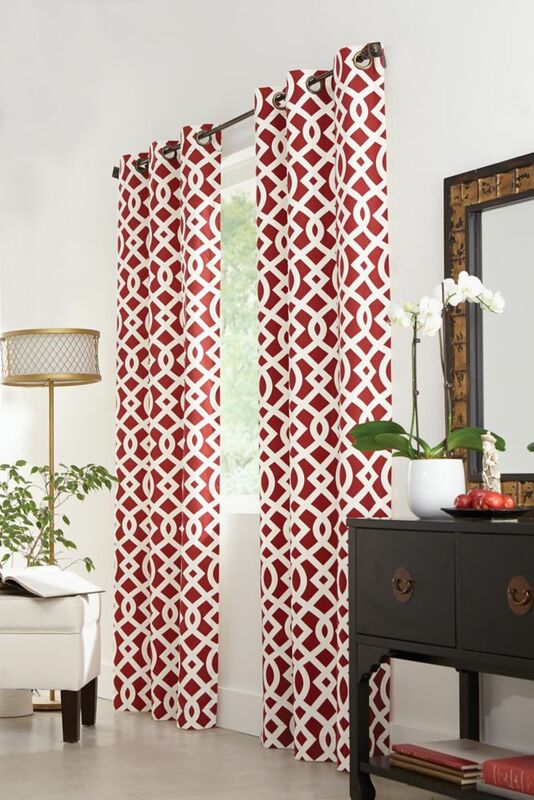 Trellis, Grommet, Red, 40 X 84 is rated 5.0 out of 5 by 1. Rated 5 out of 5 by rener from So happy with them! So well made and I love the colour. I was looking for curtains to cozy up my sun room and these were perfect.